Did you take advantage of any of the great sales on fleece this winter? I stocked up when I found it less than $3 per yard with various patterns so that I had plenty to work on projects throughout the year. I love sewing with fleece, it can be very forgiving and simple to work with. Plus most fleece projects are very easy to put together which makes them fun to work on. Today I’ve gathered 9 fun easy fleece projects for kids items that are sure to make you want to pull out your sewing machine (even just your scissors as some of them are no-sew!) and get to work. Make sure to share which ones you are working on in the comments section below. We can never have enough mittens at our house, it seems like every time we go outside, one goes missing. 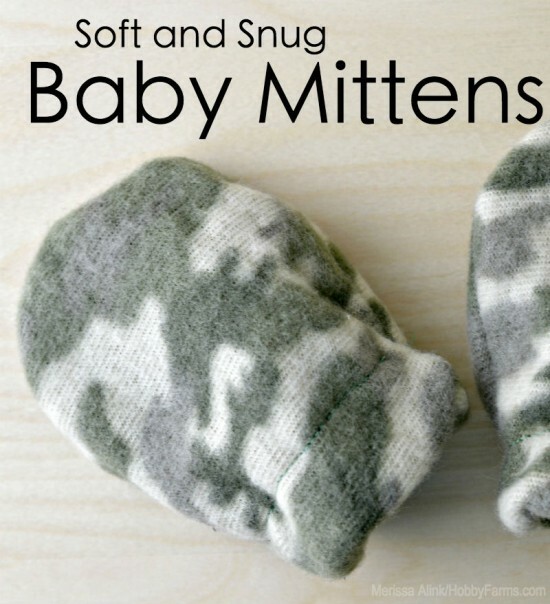 These Baby Mittens are easy to make and hardly take any fabric at all so you can make several pairs…even if you only have a small scrap of fabric to work with. 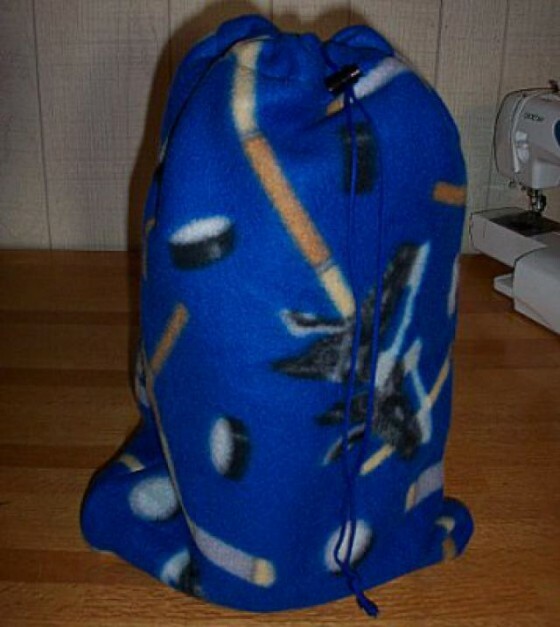 A cute little Fleece Bag is a perfect place for your little ones to store special things they need for an overnight trip or even just for a long car ride. You could make a special one for each child using a different fleece pattern so they would know which ones are just for them. I love a good fleece blanket. They are perfect to cuddle under together during a cool evening. Tie Blankets are easy to make and fairly self explanatory but if you want to make something a little nicer you might be interested in this Silky Edged Blanket tutorial. I think these would make a really nice gift as well. 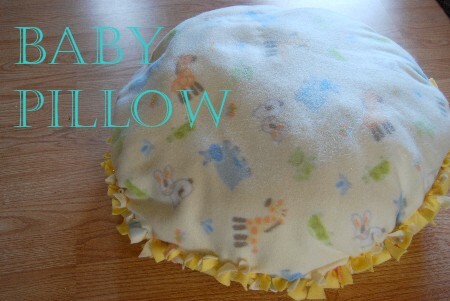 When my babies were little I loved having one of these Baby Pillows so they could lay next to me in comfort and not just on a blanket on the wooden floor. These are no-sew and super simple to put together. Isn’t this so cute? I love having little Fleece Jackets for my boys to either wear on a cool spring or fall day or to layer underneath another jacket for the colder days. 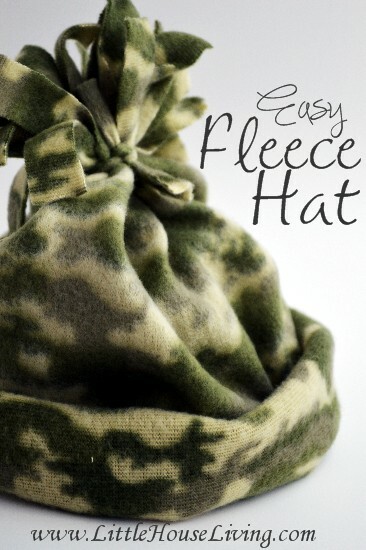 This Fleece Hat Pattern is one of the simplest sewing projects that I’ve ever made. The one stitch it requires is one short straight stitch and the rest of the project is all no-sew. So easy! 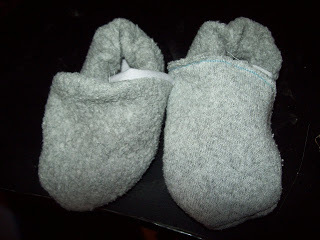 How about a soft and warm pair of fleece Baby Shoes for your little ones? These little shoes would be great to keep those little feet warm if you have wooden floors like we do. These little Fleece Pants are so cute! They would be so soft and warm for these cold winter days. 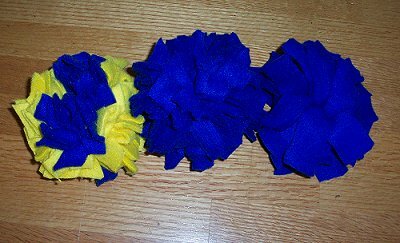 If you have a child that craves a sensory experience you might enjoy making these Pom Poms. 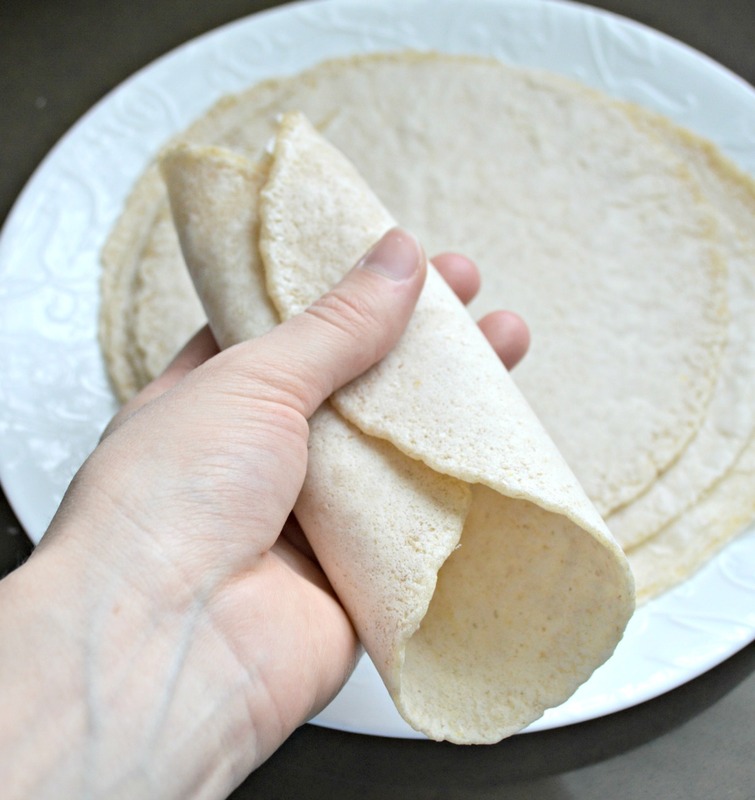 They are no-sew and super simple to make. They also make a great addition to a sensory bin. Which of these projects will you take on first? Oh those fleece pants look so cosy!! That is a great idea,Kathy! I have a lot of smaller pieces of fleece that your idea would work great for…thanks! I have also made vests with fleece & a blanket stitch around the edges. 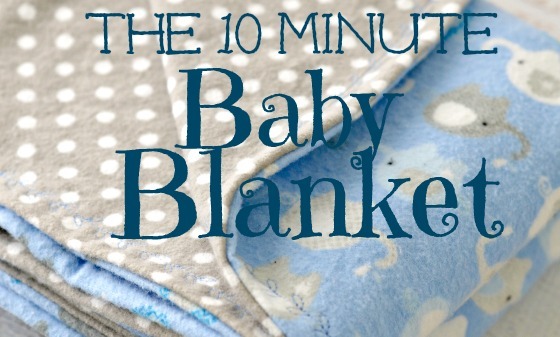 Great ideas for fleece projects! My kids love fleece pants as pajamas.